Eagle Talon Flag T-shirt is by artist Ted Blaylock. 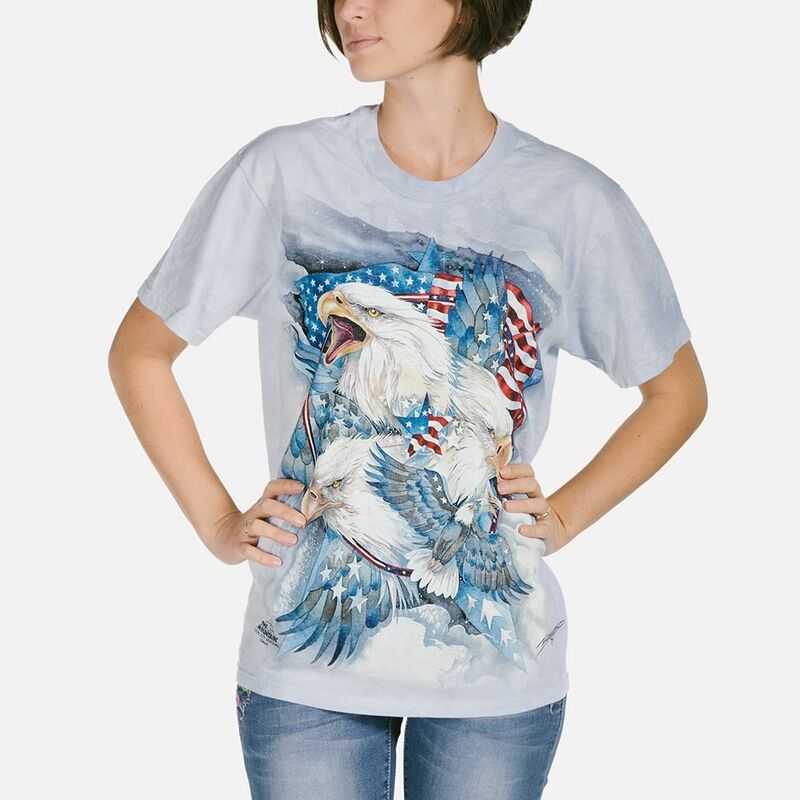 This patriotic t-shirt features an American bald eagle in flight with it's talons ready to clutch it's pray. The American flag is rippling in the background. Mountains and trees can faintly be seen below. Well. Second one we have bought ..... That just says it all ! Loved by my hubby ! Bought this eagle tee for my American husband and he just loves it. Very good quality and the colours are really vibrant.